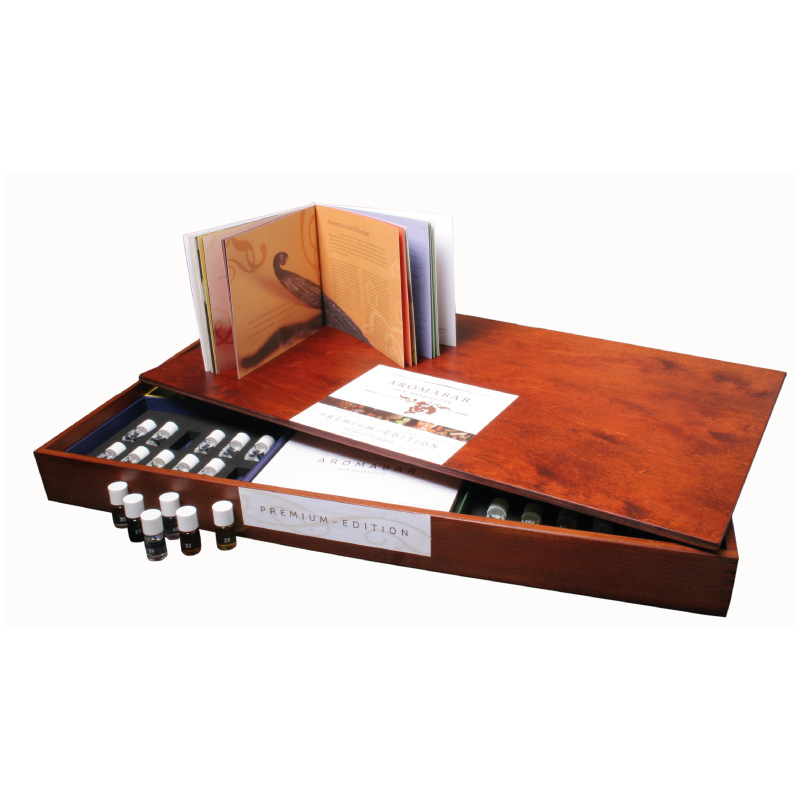 The best value and most comprehensive range of wine aromas available today. 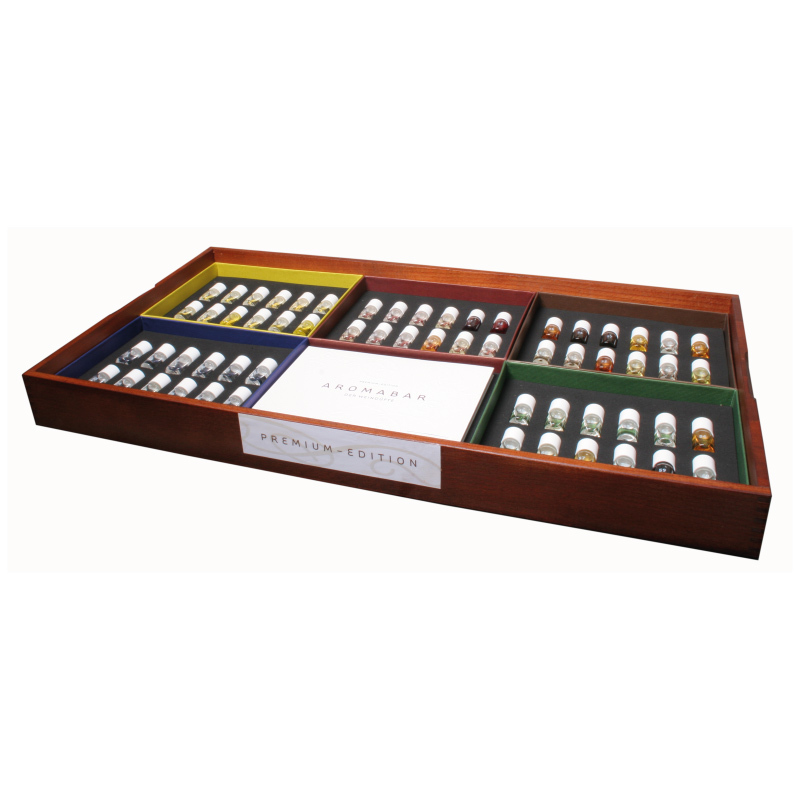 The Aromabar Premium Kit comprises a total of 60 vials, including the all important wine faults. There are some notable new editions, such as lychee, nutmeg and marzipan, keeping it up-to-date with the latest developments in viticulture. From wine amateur to wine professional, the Waiter’s Friend AROMABAR Premium Kit is an indispensable wine tasting tool. Learn how to recognise aromas and flavours through this sophisticated, instructive guide to the most common essences found in all types of wine. Considered an indispensable tool for winery staff, merchants, and educators. Get your nose into aroma-training and expand your knowledge on the secrets of wine scents.